In an attempt to protect the fragile minds of young comic book readers, in 1993 DC created a special age-restricted imprint called Vertigo that would house its more “adult” titles. 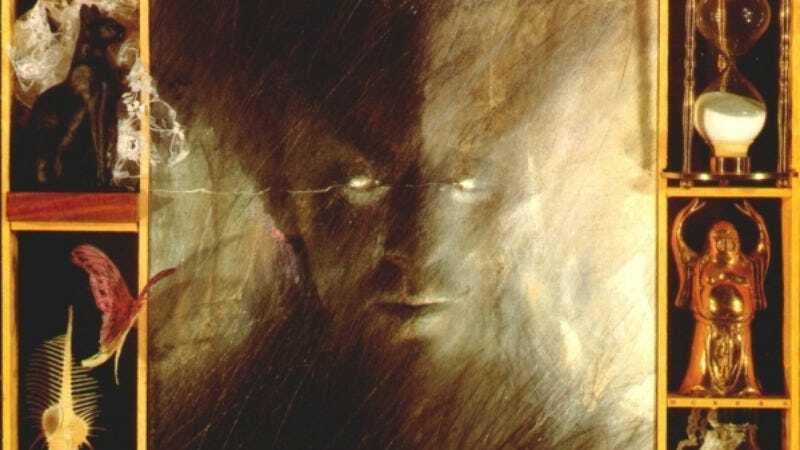 Free from the constraints of capes and continuity, some of the Vertigo books—like Sandman and Hellblazer—became big hits with both readers and critics. Thanks to the Vertigo logo on the cover, though, nobody had to worry about these award-winning stories about sandmen and people who blaze hell mucking up their beloved mainstream comics like Batman and Superman’s Pal Jimmy Olsen. Now, Warner Bros. has decided to do something similar with the wide-array of DC Comics movies and TV shows that it controls. According to Deadline, management of media based on Vertigo titles—including Preacher, Lucifer, the dearly departed Constantine, and Joseph Gordon-Levitt’s Sandman—will be transferred over to New Line Cinema so Warner Bros. can focus on Batman V. Superman: Dawn Of Boring Industry Nonsense and its other Justice League-related movies. Deadline doesn’t go into this, but we’d assume this will also lock the Vertigo movies and the regular movies into separate “universes,” so Superman won’t be popping up in Sandman to talk about his weird dreams about being an actor. One interesting wrinkle in all of this, though, is that Justice League Dark/Dark Universe—the spinoff movie that would star some of DC’s Vertigo-friendly heroes like Swamp Thing, Deadman, and John Constantine—will be staying with Warner Bros. instead of heading to New Line. In other words, it could link up with the regular Justice League movies. That’s according to The Hollywood Reporter, which also adds the unfortunate note that Guillermo del Toro—who has been attached to this project since forever—has now dropped out. Hey, at least we have a million more superhero movies to look forward to!